You awaken in a damp gloomy corridor of a castle. You have no memories, other than your name (Daniel) and where you are from (Mayfair). 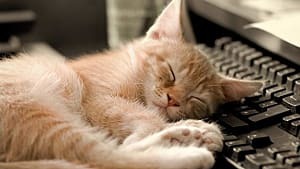 You begin to follow a trail of liquid that lays on the floor where you find a note written and left by yourself before taking an amnesia potion. As you delve into the depths of Brennenburg Castle, you begin to piece together what happened and set out to have your revenge. 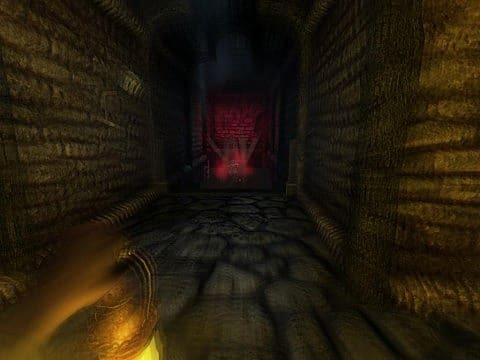 The story of Amnesia: The Dark Descent appears rather simple at first, but as it progresses it slowly builds into something far more complicated. The deeper you go into Brennenburg Castle, the darker and more gruesome the story becomes at a brilliant pace. As you journey through the castle, you get audio flashbacks of horrifying events that have taken place there. You hear the characters talking and all the horrible noises that had occurred at that moment in time. The flashbacks at first are relatively tame, but as you progress get darker and more sinister. The best thing about how the story is written is that it doesn't directly show you the horrifying things that have happened in the castle. Instead, it gives you enough visual evidence of the aftermath and audible representation that your own mind begins to create images of what happened - and it certainly is cringe worthy in almost every manner. The imagination creates scenes more gruesome than the developers probably could have devised. The story certainly does brilliant job of grossing you out, giving you chills, and making you genuinely feeling uncomfortable with what you are experiencing, but it isn't without its flaws. There are three different endings to the game, depending on how you deal with the final room. Unfortunately, no matter which ending you receive, you are left with a lot of unanswered questions. All of the endings are very much unsatisfactory. The best ending of the game leaves the biggest question of all and does nothing to answer it, leaving the player with a lack of full closure. I was shocked that the game ended as it did. I felt that the story was truly beginning to reach its peak and all my questions were to starting be answered. But then it just ended, leaving me scratching my head and attempting to make sense of what had just happened. 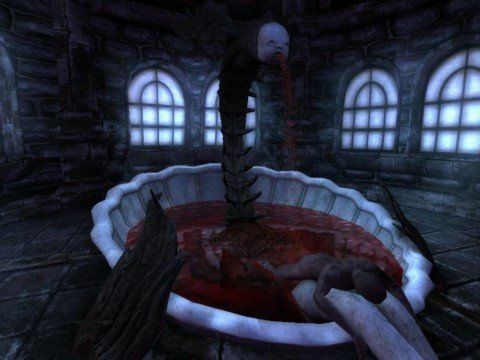 There is no denying that Amnesia has some brilliantly scary and very intense moments, but they are few. What few there are get put into play all at once early in the game. 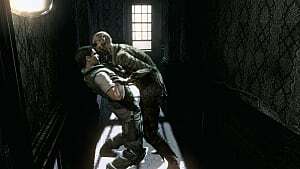 Easily the best part of the game (and one of the most intense moments in video gaming history) is the invisible cellar monster. You cannot see the creature, but you can see its movements in the water below as you navigate the area by jumping from crate to crate and using corpses to distract it. At the end of this scenario, you have to navigate a number of corridors with the creature following you, and the only thing slowing it down is closing the doors behind you. Without a doubt, it was one of the biggest adrenaline-filled moments I have ever had in a video game. My hands were shaking, my heart was pounding, I was sweating, and I couldn't get enough of it. I was excited; I was eager; I wanted more; I was craving it; I needed it. But I never got it. Despite there being moments throughout the game where you have to sneak around monsters or run and hide from them, it wasn't the same. All the player has to do is find a room, close the door and hide in a dark corner until they are safe. The first instance of this may be somewhat scary, but after each encounter it just becomes more stale and boring. Thankfully it doesn't happen all too often. 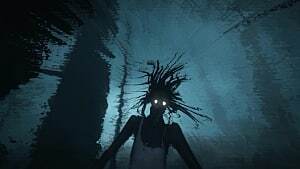 I wish that they had implemented more moments like the invisible monster, or at least put it at a later point in the game so we had something to look forward to. 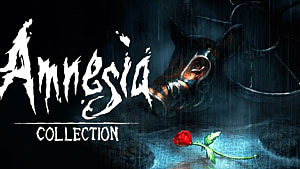 Amnesia certainly has some great ideas and uses lighting and atmosphere to its advantage. The dark, dismal corridors of the old castle, with your only light source being your oil lamp and lighting torches with tinderboxes, is simply wonderful. You must choose carefully when to use the tinderboxes and make sure not to overuse them. The same applies to the use of your oil lamp, as both are limited in supply. You also cannot light up the area too much, because it will leave fewer areas for you hide from the monstrosities that dwell within the castle. The sanity mechanic is also a nice addition, though it doesn't really affect that much overall. The more sanity you lose by standing in the dark, seeing monsters, or experiencing horrifying things, the harder it is to control the character. If it gets low enough, the character may collapse temporarily, but the chances of this happening are extremely low. The only time the character collapsed for me was when I was rushing things a bit on my second playthrough. Playing more cautiously as you would on your first time, it probably won't happen. 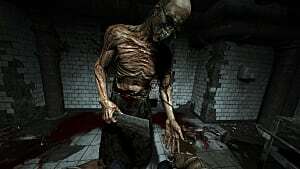 Survival horror games often have numerous puzzles throughout their experience, giving you moments of having to think in order to progress. Penumbra, for example, had some great puzzles that really got you thinking. Such puzzles included having to translate morse code, reinstall system configurations for a server, and more. They were genuine puzzles that were not too difficult, but hard enough some thought had to be put in. 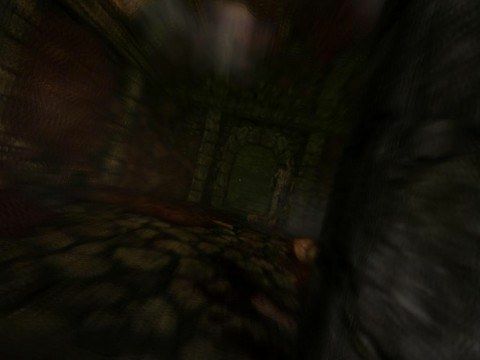 In Amnesia, however, the puzzles are difficult to call puzzles. Often they entail finding items A, B and C and placing them into where they need to go, which the game does automatically. So really, the only puzzle is finding the items. And that's not a puzzle. There is one exception, where you have place a number of pipes in a certain order, but variations in where the pipes can be placed were extremely small. You wouldn't be stuck with it for more than a few minutes, even if you weren't trying that hard. The puzzles, however, are rather a double-edged sword. They are disappointing from a puzzle point of view, but due to their lack of difficulty, the game progresses at a fairly fast pace. 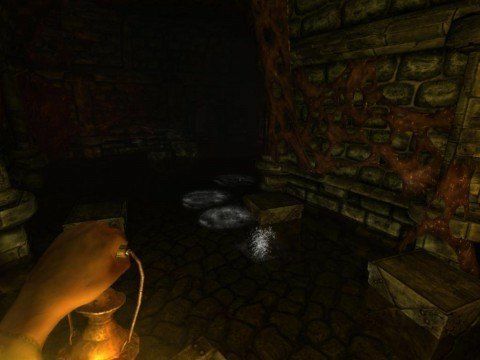 Amnesia: The Dark Descent has its flaws, but nevertheless it is an enjoyable game. It won't give you the heart attacks like Silent Hill. It won't give you the puzzles of the Penumbra trilogy. And it won't give you a story that is fully closed and explained. 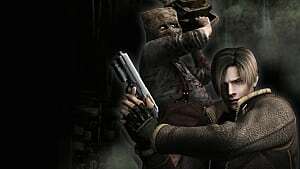 It will, however, give enough story and atmosphere for it to be an overall enjoyable experience - one that I appreciated and loved playing through a second time just as much as the first. Amnesia isn't perfect, but has moments where it scares, disturbs and genuinely grosses the player out. I would recommend it to any horror fan. With a massive wealth of community-created content, the Amnesia experience doesn't have to stop with the main game. There are hundreds of custom stories to download and play, which will give you hours more playtime in this wonderful title, which has been a most important part in modern survival horror. In spire of the flaws, it will no doubt go down in gaming history. Amnesia The Dark Descent is available to buy on GOG.com for €17.99 and on Steam for €19.99. 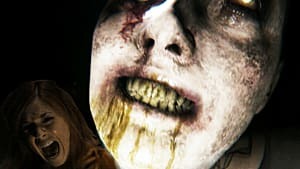 A Survival Horror Experience that scares but certainly is not perfect.